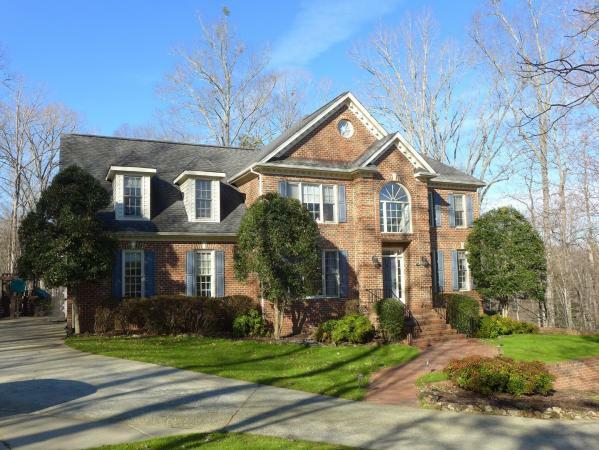 This well-appointed home in The Reserve is just 10 minutes from UNC. 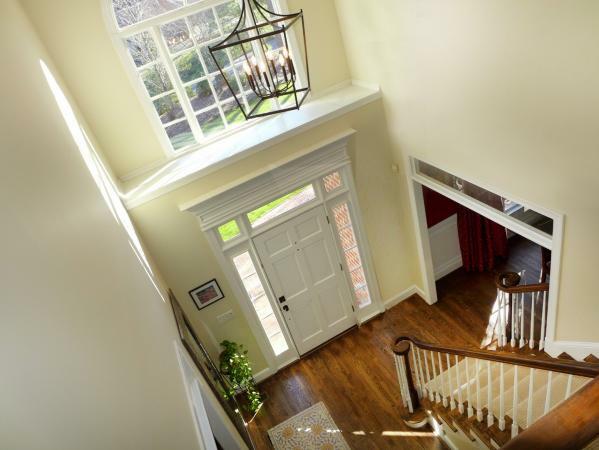 The two-story entry foyer is flanked by the formal living room and dining room. 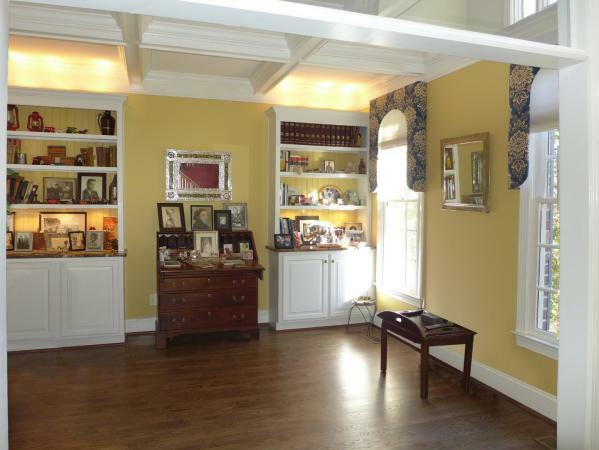 Both rooms have wide entries with transom windows. 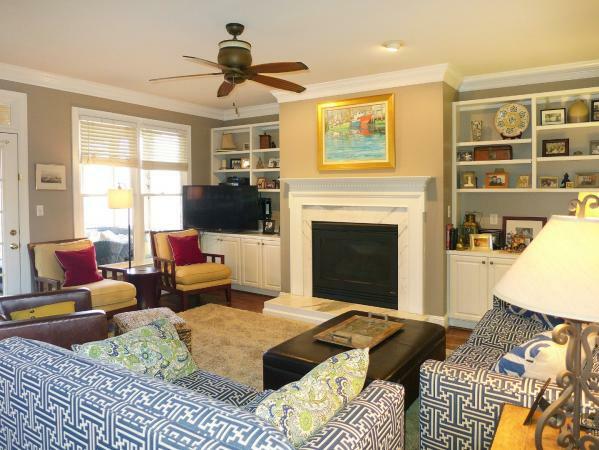 The living or sitting room features a coffered ceiling and built-in cabinets and lighted shelving. 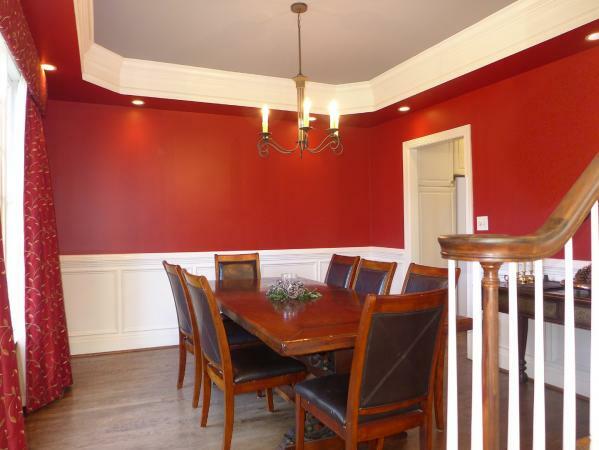 The dining room has a trey ceiling with recessed lighting and is detailed with classic wainscoting. 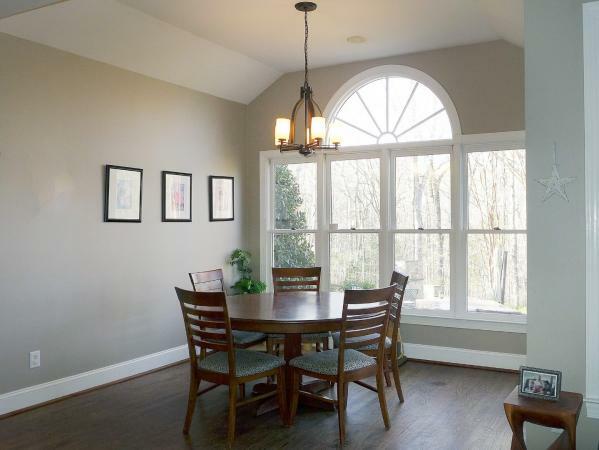 A triple pane window looks out from the dining room to the front lawn. 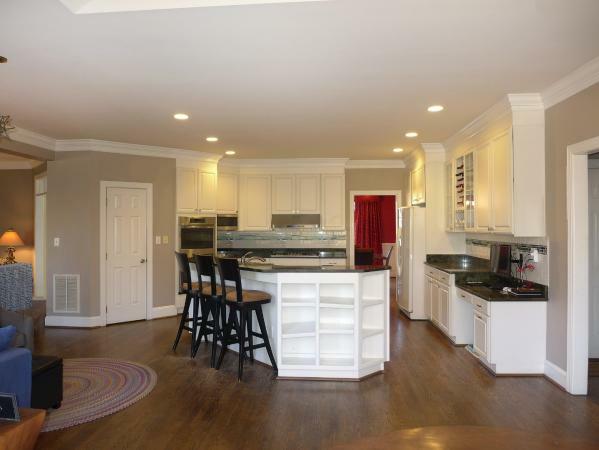 The family room is open to the kitchen and breakfast area. 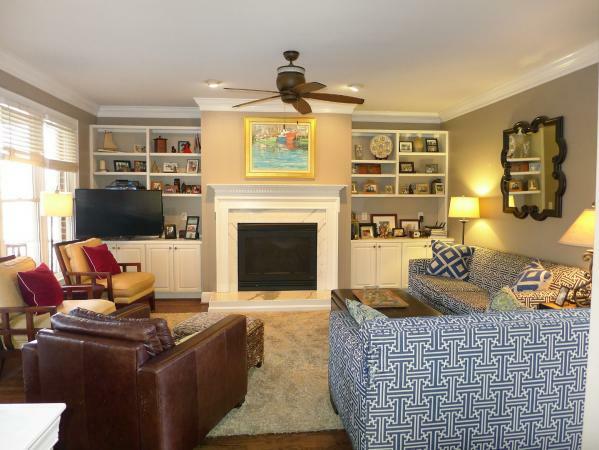 This spacious room features a gas-log fireplace framed by built in cabinets and bookshelves. 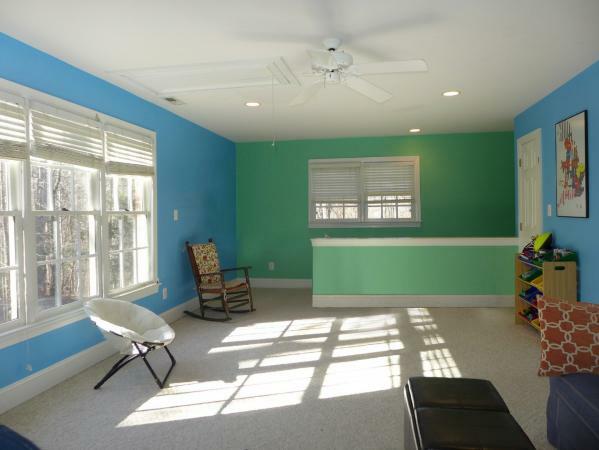 There is a ceiling fan in the family room. This room exits to the screened porch. 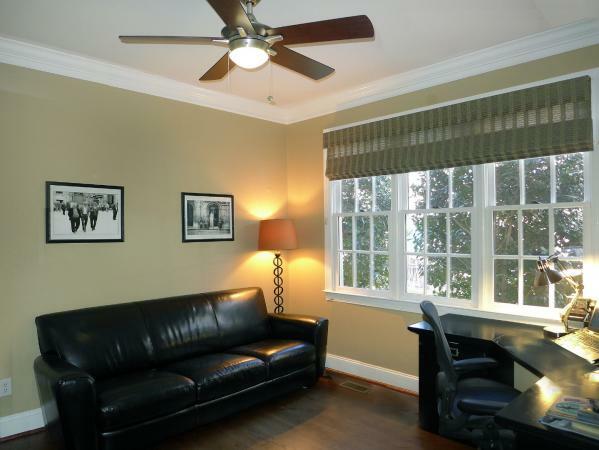 A comfortable nook is situated between the kitchen and family room. The kitchen features granite counter tops, tile backsplash, a built-in desk, wine rack, ample cabinets, and a walk-in pantry. 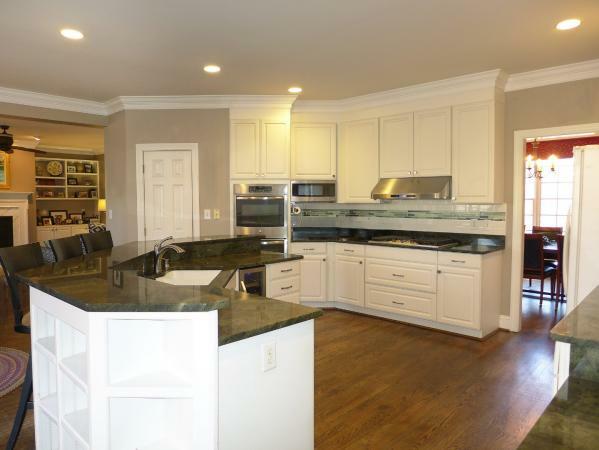 An angled island includes a raised breakfast bar, a beverage cooler and additional shelving. 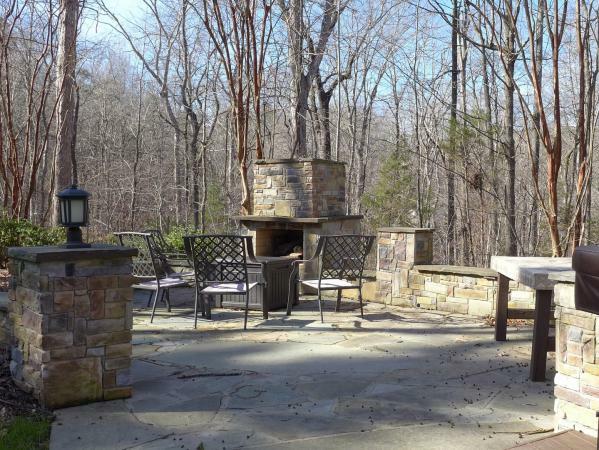 The breakfast area has a raised ceiling and an exit to the deck. A wall of windows fills this space with natural light. A first-floor bedroom and a full bathroom complete the main level. 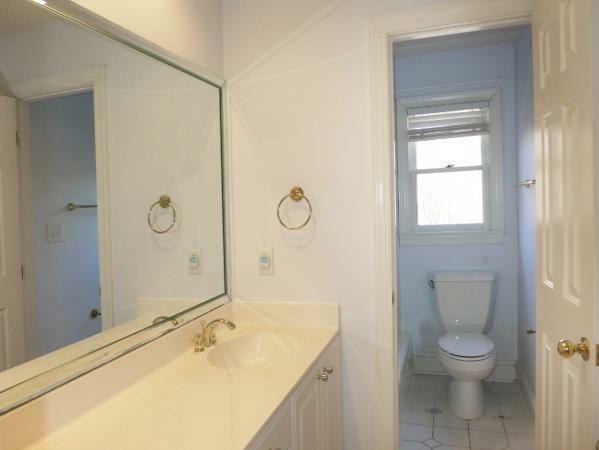 The bathroom is convenient to the bedroom. 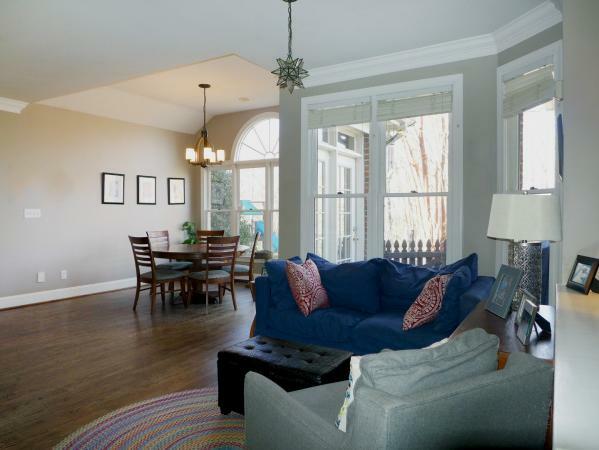 There is crown molding and hardwood floors throughout the main level of the home. A secondary stairway leads from the rear hallway to the bonus room on the second level. A secondary stairway leads from the rear hallway to the bonus room on the second level. 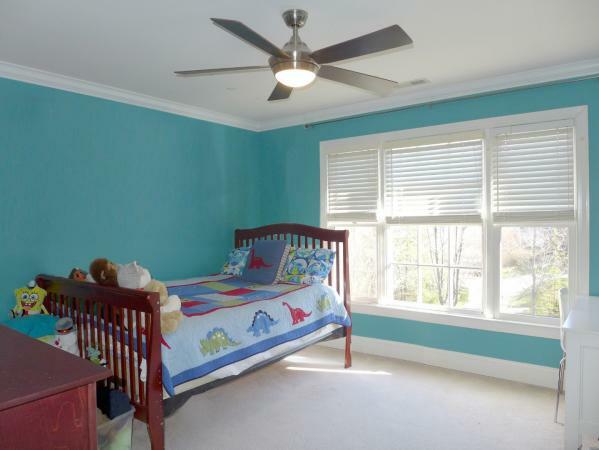 This room includes a ceiling fan and a closet, and could also be used as a bedroom. 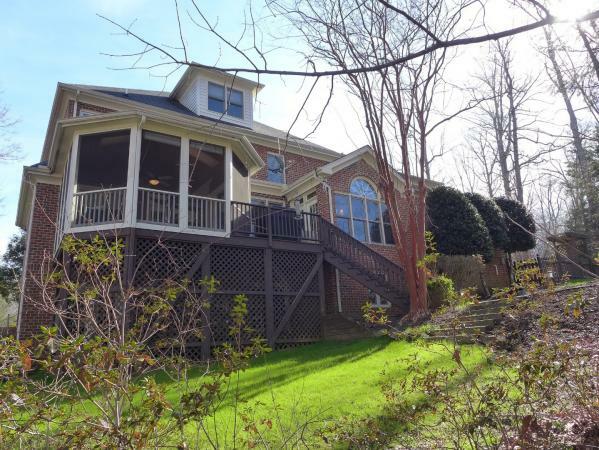 There are three bedrooms on the second level, including the master bedroom. 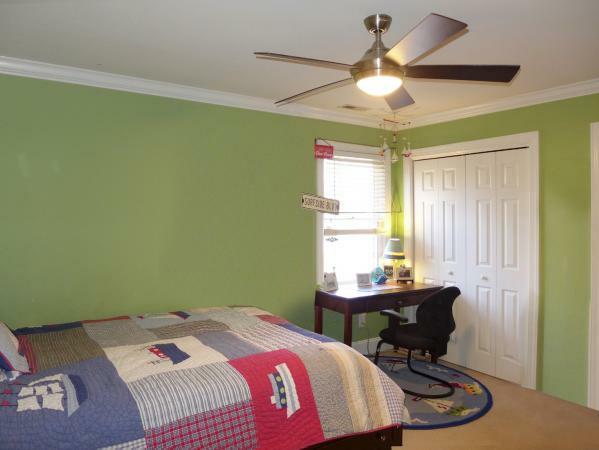 All of the bedrooms have carpet, ceiling fans, and crown molding. 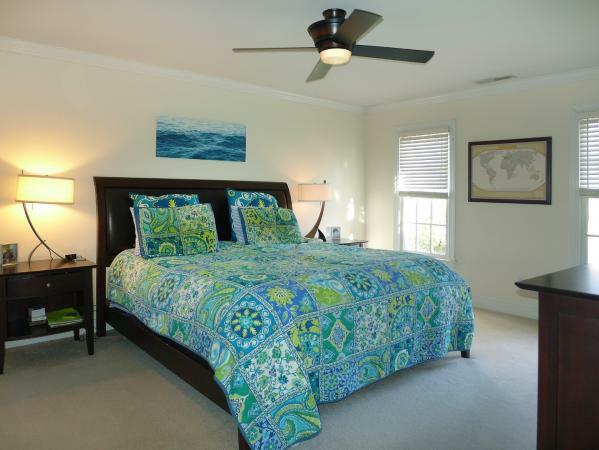 The master bedroom includes an en suite master bathroom and a large walk-in closet. 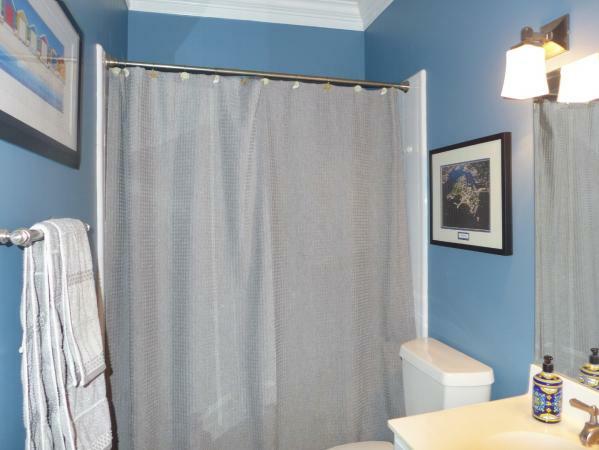 The master bath features two separate vanities, a dual head tile shower, and a separate corner jet tub, The second bathroom on this level is convenient to the remaining bedrooms. 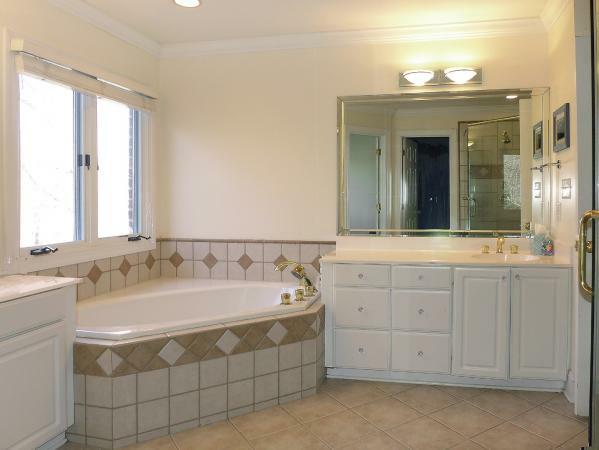 This bathroom has a dual vanity with a separate room to the tub-shower. 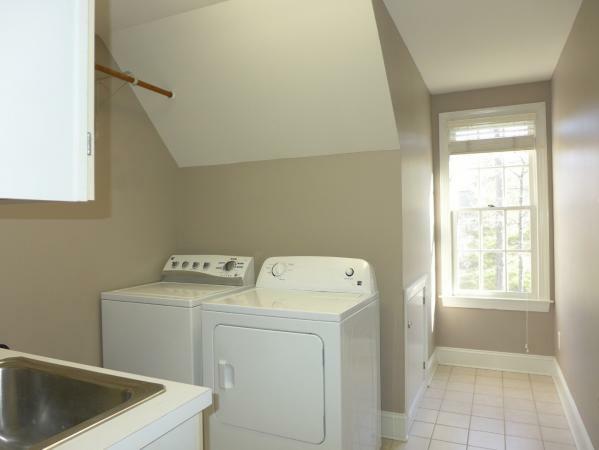 The laundry is on the second level, with a built-in cabinet, a work space with a sink, and a washer and dryer included. All of the bathrooms and the laundry have tile flooring. 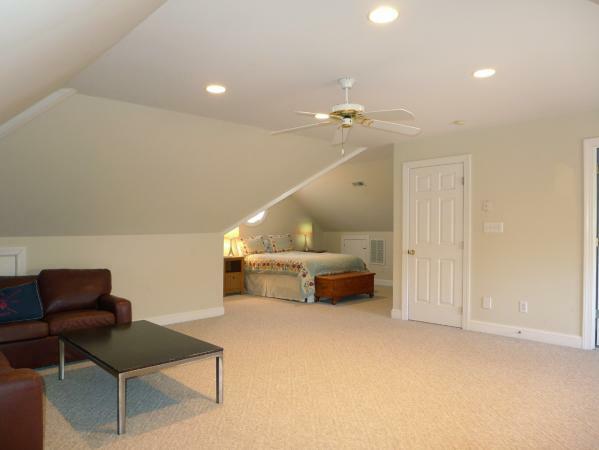 The fifth bedroom or bonus room is on the third floor. 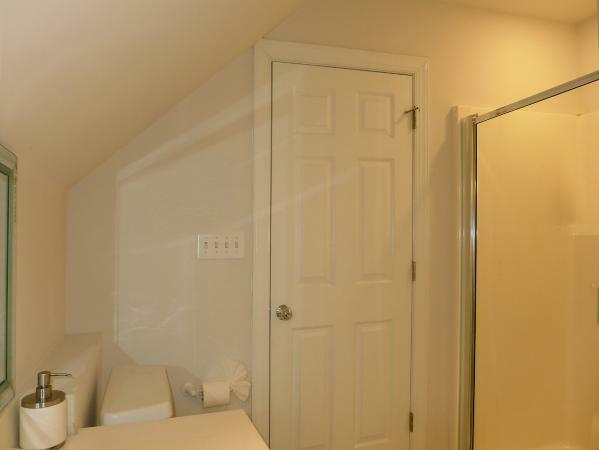 This large space offers room for multiple uses, and includes a window seat, a ceiling fan, and a full bathroom with a shower and closet. There is carpet in this room. 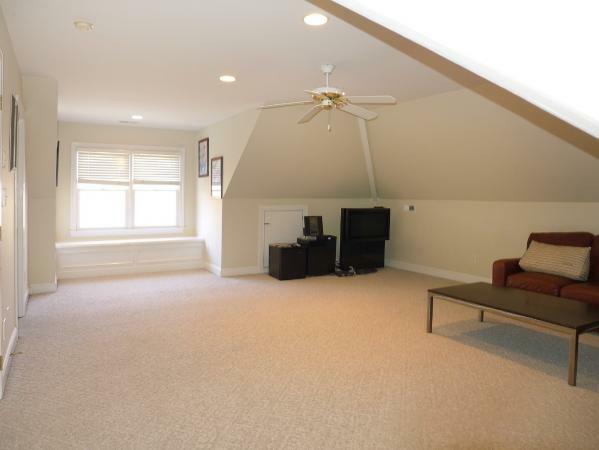 The unfinished walkout basement provides additional storage. 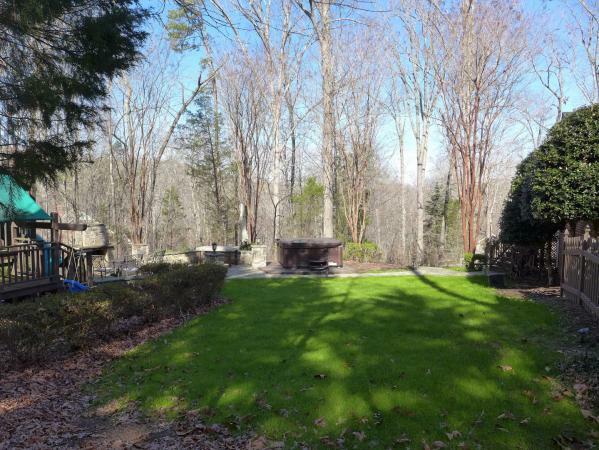 There are ample spaces to enjoy the outdoors. 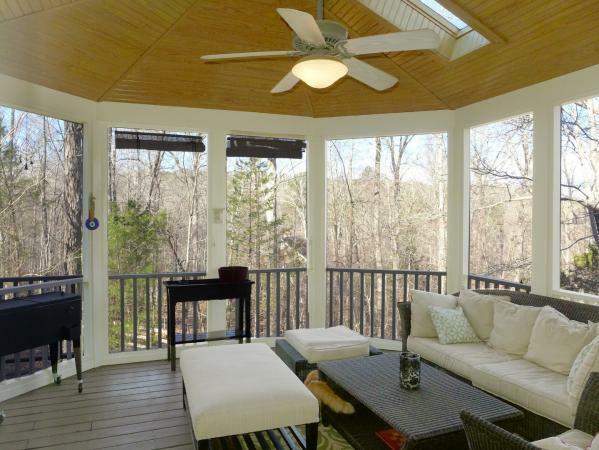 The screened porch features a vaulted ceiling with skylights and a ceiling fan, and leads out to the deck and stairs to the backyard. 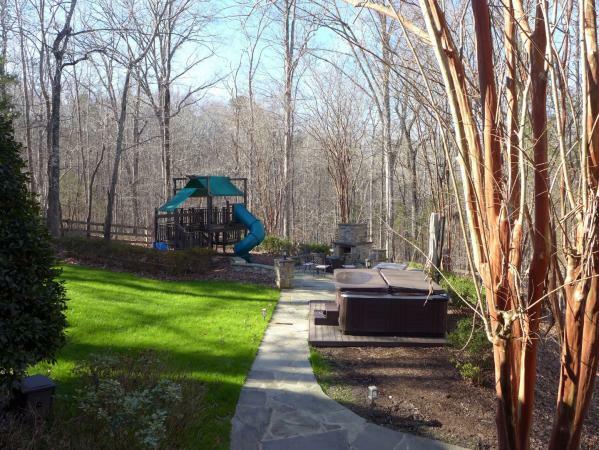 The fenced backyard includes a patio area and play structure (will not repair or replace). 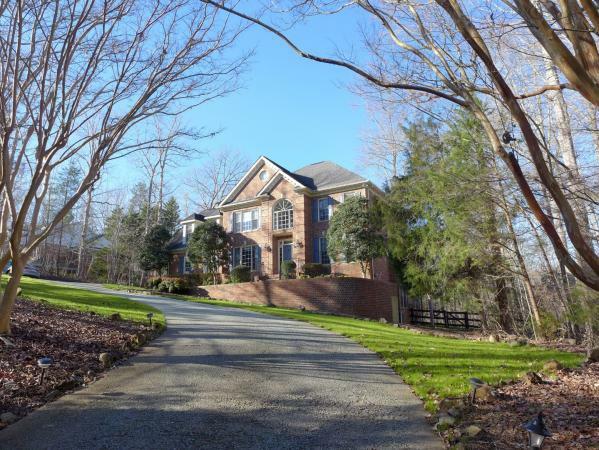 This home has an attached side entry two-car garage. 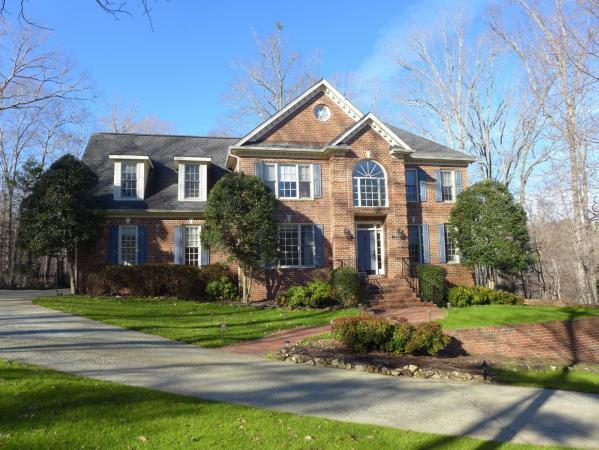 A security system is available, any hook-up, monitoring, or service fees are not included. 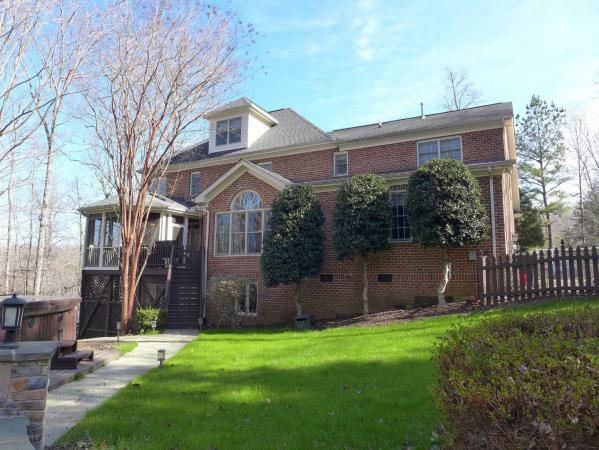 Pet considered with fee and prior approval. 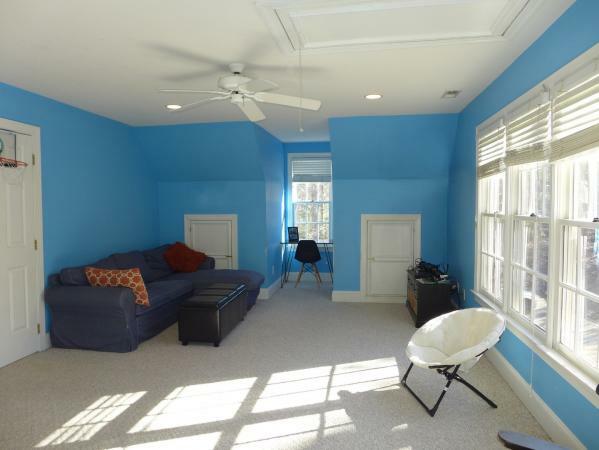 Unfurnished - furniture in photos is not included. US Highway 15-501 to Mt Carmel Rd, then left again onto Parker Rd. 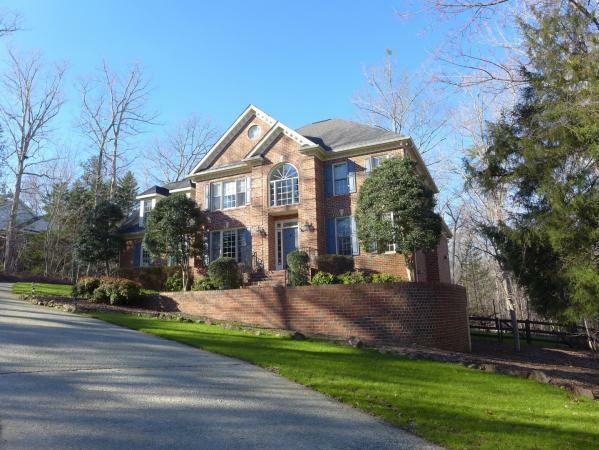 After that take another left on Rhododendron Dr, destination will be on the left.